Data about concentrations of some organic pollutants in several important water ecosystems of Albania are represented in this article. Water samples collected in three stations of Adriatic Sea (Vlora Bay, Port of Durres and Porto-Romano), two well-known Albanian lagoons (Karavasta and Patoku lagoons) and four rivers (Semani, Shkumbini, Erzeni and Mati rivers) were analyzed for following organic pollutants, Lindane and its isomers (a-HCH, b-HCH, Lindane, d-HCH and e-HCH), DDT and its metabolites (DDE, DDD and DDT), polychlorinated biphenyls (7 PCB markers), polyaromatic hydrocarbons (13 PAH based on EPA 525) and BTEX(Benzene, Toluene, o-, m- and p-Xylenes).The data has been collected for a two year period, March 2014 to April 2016. The results of the chemical analysis show that the samples of Semani River, Adriatic Sea and Shkumbini River have the highest concentrations of organochlorine pesticides (HCHs and DDTs). The cause of HCHs and DDTs presenceincludes their previous agricultural use, new incomes from erosion process and their degradation processes. Higher concentration values of volatile PCBs are related with their atmospheric deposition origin. Relatively high concentrations of Benzene, Toluene and volatile PAH compounds were detected in water samples of Port of Durres and Porto-Romano. The presence of hydrocarbonesis influenced by ships transport, discharges of wastesfrom the ships, local automobilist transport, etc. Also, higher concentration hydrocarbons were found in Semani River and Karavasta lagoon, because of extracting and processing of oil factories which operate in this area. Keywords: HCH; DDT; PCB; PAH; BTEX; Water analyze; GC/ECD/FID. There are many marine and surface water bodies in Albania. It is situated in western part of Balkan Peninsula, facing the Adriatic Sea and the Ionian Sea. The length of the coastline of Albania is roughly 427 km, 273 km of which belong to the Adriatic Sea. These areas are important resources in both aspects, economic and ecological [3,4,10,13]. Albanian wetland includearound 60 ecosystems, most of which lie along Adriatic Sea coastline, with a total area of 109 km2. These lagoons provide fish and wildlife habitats, support complex food web, reduce flooding and damage from storng wind, provide erosion control, improve sea water quality and in a particular way they provide open space and environmental aesthetic value. Karavasta and Patoku lagoons are the main Albanian lagoons. Karavasta Lagoon is located in the central coastal partof Albania. It is sorrowndingby Shkumbini River on the north side, Semani River on the south side and hills of Divjaka on the east side. PatokuLagoon is formed by tectonic activities and Droj and Mat rivers activity. Karavasta Lagoon is under Ramsar Convention protection from November 1995 [1,12]. Most of the surface water bodies are covered by rivers and lakes Shkodra Lake, Ohrid Lake and Prespa Lake three main lakes of Albania. The most important rivers are: Drini, Mati, Ishmi, Erzeni, Shkumbini, Semani, Osumi, Vjosa, Bistrica and Buna . The main Albanian rivers discharge their water into the Adriatic Sea. Organochlorine pesticides were widely used in Albania, before years 90’, for agricultural purposes. The main agricultural areas were in the west of the country. The purpose of DDT use in our country after the Second World War was elimination of malaria vectors. As well, it is widely used in agriculture areas, especially on the lands obtained by drying of the swamps. Lindane was produced by Porto-Romano chemical factory and is widely used in Albania for agriculture purpose. On the other hand, PCBs were used as cooling agent in transformer oils, but their origin is airborne one with predominance of lighter and consequently more volatile congeners. Polyaromatic hydrocarbons are widely distributed in the environment as a result of incomplete combustion of organic materials causes by both, natural sources (e.g. forest fires) and anthropogenic sources, (e.g. motor vehicles, industrial processes), as well. However, the spillage of fossil fuel and leaching from pipes represents a significant source of contamination, as well. Exhausting gas from vehicles, as well as fuel evaporating process from gasoline stations and vehicles, are major sources of BTEX that released in the environment. When levels of pollutants are very low, a larger volume of samples is needed. Liquid-liquid extraction is a method used in many laboratories [15,7], but purge and trap (P&T) technique and Headspace solid phase microextraction (HS-SPME), are frequently used for extraction and for concentration of BTEX and other volatile pollutants in water samples, are frequently used [11,15]. The goal was to study Adriatic Sea (ports and lagoons) and rivers that discharge in it. The water samples represented the Adriatic sea with 12 samples taken in the Vlora bay, 9 samples taken in Porto-Romano and 12 samples taken in Port of Durres, Semani river with 16 samples, Shkumbini river with 12 samples, Erzeniriver with 12 samples and Mati river with 13 samples, and two main lagoons of Albania with 16 samples taken in Karavasta Lagoon, 15 samples taken in PatokuLagoon. Sediment samples were analyzed for both lagoons for the same number of samples.There are also performed chemical analyzes of some species of fish that grow in both lagoons, for which Kaaravasta Lagoon is represented by 8 samples and PatokuLagoonis represented by 9 samples. At the same time, chemical analyzes were carried out for biota samples taken from the above-mentioned lagoons. The study period has a two-year extension, from March 2014 to April 2016. 1 L of water and 40 mL n-Hexane (extracting solvent) were added in a separatory funnel. Simultaneously extraction of HCHs, DDTs and PCBs from water samples was carried out by liquid-liquid extraction. After phase separation, drying of the organic phase was performed using anhydrous sodium sulphate to remove the remaining water.Then, water samples are cleaned up using a previously prepared Florisil column.As the samples are concentrated to a final volume of 1 ml, they are injected into the GC/ECD HP 6890 Series II apparatus. GC analyzes were performed using a split/splitless injector, a 30 m x 0.33 mm x 0.25 μmRtx-5 capillary column and mikroelectron capture detector. Helium was used as carrier gaswith a flow of 1 ml/min and nitrogen was used as make-up gas with a flow of 24 ml/min. The injector and detector temperatures were maintained at 280°C and 300°C, respectively [9,8,14,12]. The PAHs extraction was performed using the liquidliquid extracting procedure in the presence of dichloromethane as a solvent. Volume of water of 1 liter and amount of Dichloromethane of 40 mL (extracting solvent) was added in a separatory funnel. After the entire extraction procedure is complete, the organic phase is collected in a beker, in which 5 grams of anhydrous sodium sulphateis added to remove traces of water. As the samples are concentrated to a final volume of 1 ml of Dichloromethane, they are injected into the gas chromatograph equipped with a FID detector. The gas chromatograph used to perform chemical analysis is of the Varian 450 GC instrument typeequipped with both FID and PTV detectors. To isolate and determine 13 PAHs compounds, a VF-1ms capillary column (30 m x 0.33 mm x 0.25 μm), was used. Helium was used as carrier gas with a flow of 1 ml/min and nitrogen was used as make-up gas with a flow of 24 ml/ min. The injector and FID detector temperature is kept the same at the value of 280°C. The gases used in the flame detector were hydrogen and air with a flow of 30 ml/min and 300 ml/min, respectively [6,12]. To analyze trace levels of BTEX content in water, headspace solid phase micro extraction (HS-SPME) technique is used. A volume of water of 5 ml was placed, in a 10 mL headspace vial and 5 replicate vials for each sample are used to adsorb BTEX. The vials are placed in a heating block and applied over a temperature of 50°C for a 45 minute time interval. Extractions of volatile compounds were done using a 100 μm Polydimethylsiloxane fibre in a SPME manual holder. Direct injection in HS mode was performed in 280°C (20 sec) in a PTV injector. Helium was used as carrier gas in constant flow mode of 0.8 ml/min and FID detector temperature is kept at the value of 280°C [11,12]. For the period, 2014-2016, were analyzed water samples from different important ecosystems of Albania. The water samples were collected in Adriatic Sea (Vlora Bay, Porto-Romano and Port of Durres), in four rivers (Semani, Shkumbini, Erzeni and Mati rivers), and two main lagoons of Albania (Karavasta and Patoku lagoons). Table 1 showns the average concentrations of HCHs in all stations. Higher level of HCHs were found for Semani River (28.1 ng/l) and the Porto-Romano station (27.6 ng/l). Total of HCH in Mati River and both lagoons were found in low level. Note that average of HCH was: sea (18.9 ng/l) > rivers (15.0 ng/l) > lagoons (1.7 ng/l). Higher concentration of HCHs in sea water samples could be because of previous uses of Lindanefor agroagricultural purposes in areas near the sea and rivers stations (Figure 1). Discharges of Porto-Romano plant directly to the sea for many years (until 90’) could affect in this rate. This fact based on higher concentrations for Lindane isomers. Profile of HCHs in the sea was: e-HCH > a-HCH > d-HCH >Lindane> b-HCH. Lindane was found also in lower concentrations compare with its isomers for all river samples. HCH levels in water samples of Semani and Shkumbini rivers werein higher levels because of new arrivals from soil irrigation as a result of rainfalls. All Albanian rivers, especially Shkumbini, Semani and Erzenirivershave in their water catchment aerea many drainage channels from agricultural areas.Total HCHlevels were lower than allowable levels for surface waters based on Directive 2008/105/EC and Albanian norme. The founded levels for lindane and its isomers were lower than reported levels in previous studies for Adriatic Sea stations . Table 2 presend average of DDT data for surface water samples of Albania. Higher level of DDTs were found for Semani River (38.5 ng/l) and Karavasta Lagoon station (27.9 ng/l). Total of DDTs were found in low level in Mati River and Patoku Lagoon. The use of DDT especially in Myzeqeja Rajon (the main field in South-West Albania) for against malaria and typhus vectors is the main factor of DDT presence in Semani River and Karavasta Lagoon (Figure 1). Average of DDT was: river (22.4 ng/l) >lagoons (19.4 ng/l) >sea (15.8 ng/l). Higher concentration of DDTs in river water samples could be because of new arrivals from water irrigation. DDT presence was because of their previous use. This fact was based on higher concentrations for degradation products of DDT. Profile of DDTs in all studiet samples was2,4-DDD>4,4-DDE>4,4-DDD>2,4-DDE>4,4-DDT > 2,4-DDT. 4,4-DDT was found only for 17% of studied samples and 2,4-DDT for 8% of samples. Their presence was in some found in somestations because of punctual sources. Presence of DDD was in higher concentrations that DDE. Rate of DDT degradation is lower in water ecosystems. DDTs in Mati River and Patoku Lagoon were 2 to 5 times lower than other ecosystems because agricultural areas near these areas are smaller. Levels of DDTs in sea stations could be affected by new arrivals from rivers and by water currents in waters in Adriatic Sea. Total of DDTs in all studied samples were lower than allowed levels for surface waters based on Directive 2008/105/ EC and Albanian norme . The founded levels for DDTs were lower than reported levels in previous studies for Adriatic Sea stations . Table 3 presents the average concentrations of PCBs in water samples. PCB levels were as following: sea > rivers > lagoons (Figure 1). Total of PCB markers were higher concentrations in water samples of Shkumbini River (83.9 ng/l) and Semani River (77.2.8 ng/l) followed by Port of Durres (70.2 ng/l) and Karavasta Lagoon (110.8 ng/l). PCBs for stations of Adriatic Sea were: Port of Durres (70.2 ng/l)> Porto-Romano (60.4 ng/l) >Vlora Bay (56.9 ng/l). PCBs 28 and PCBs 52 are found at higher levels for all water samples because of atmospheric depositions. Heavy congeniers (PCBs 180 and PCB 194) presences were founded in all sea water samples, due to ship transport or land inputs. For the same stations, the observed levels were lower than reported concentrations in other publications (Nuro et al, 2010). Total of PCBs in river samples, were: Shkumbini River (83.9 ng/l)>Semani River (77.2 ng/l) >Erzeni River (34.9 ng/l) > Mati River (16.7 ng/l). Volatile PCBs were found in higher level also in waters of river samples. Heavy PCBs were found in higher levels in ShkumbiniandSemani rivers water samples. PCBs could be because of land sources, probably due to spills from damaged transformers or other mechanical equipment’s, where PCBs are used. Some mechanical businesses that discharge their waste direct into the rivers can influence on the levels and distribution of PCBs in river water samples. PCBs concentration in Karavasta Lagoon (66.1 ng/l) were in higher levels Patoku Lagoon (35.6 ng/l). This is conected to the influence of the Shkumbini and Semani rivers, which are the most polluted rivers.Volatile PCBs (PCBs 52 and PCBs 28) were found in higher levels for both lagoons. Water samples of Karavasta lagoon contained high levels for PCBs 180 and PCBs 194. Similar conclusion was reached for Shkumbini and Seman rivers. Both rivers and water currents inside/outside lagoons can affect the Karavasta Lagoon. Levels of PCBs in Karavasta Lagoon were lower than previous studies . The average concentrations of 13 PAHs in water samples were shown in Table 4. PAH concentrations were as follows: sea > rivers > lagoons (Figure 2). Total of PAHs were in higher concentration in Semani River (7.2. ug/l) followed by Port of Durres (6.3 ug/l), Porto-Romano (5.3 ug/l and Mati River (5.1 ug/l). Rate of PAH in stations of Adriatic Sea, was: Port of Durres (6.3 ug/l)> Porto-Romano (5.3 ug/l) >Vlora Bay (3.7 ug/l). Pyrene was founded at higher concentration in Port of Durres water sample. Chrysene was founded at higher level in Porto-Romano water. Benzo[a]anthracene was founded in higher concentration on water samples of Vlora Bay. Presence of PAHs in all water samplesof Adriatic Sea could be related to fuel ships emitting or discharging. It was noticed presence of PAHs in all samples of Port of Durres. The huge number of ships in this port can affected in PAH level and distribution. Land inputsfor PAHs are not excluded. PAHs were found in higher concentration in Semani River samples (7.2 ug/l). The profile of PAHs, for Semani River, was: Phenanthrene> Pyrene > Benzo[a]anthracene >Acenaphtalene. Semani River is influenced by oil extraction and processing industry. Wastes from oil exctracting and procesing industry, often discharges directly in waters of Gjanica and Semani rivers. Presences of volatile PAHs werededected in Shkumbini river water samples. This is connected with automobilisroadsnear the Shkumbini River for some kilometers. Presence of volatile PAHs in Erzeni and Mati Rivers is connected with some mechanical businesses that discharge their waste directly into those rivers. PAH levels in Karavasta Lagoon (2.7 ug/l) were in higher than Patoku Lagoon (1.4 ug/l). Karavasta Lagoon is influenced by Shkumbini and Semani Rivers. All PAH levels were in lower level than allowed levels for surface waters based on Directive 2008/105/EC and Albanian norme . Table 5, present the average concentrations of BTEX in water samples. BTEX concentrations were as follow: sea > lagoons> rivers (Figure 2). Total of BTEX were in higher level in Port of Durresstations (40.2 ug/l). BTEX in stations of Adriatic Sea were: Port of Durres (40.2 ug/l)> Porto-Romano (31.4 ug/l) >Vlora Bay (26.5 ug/l). Benzene and Toluene were found in higher level for all water samples. Presence of BTEX in marine samples could be due to fuel emitting or discharging from ships. BTEX were found in higher level in Semani River samples (17.7 ug/l). Semani River is influenced directly by exctracting and processing oil industry discharges. Presence of BTEX in Shkumbini, Erzeni and Mati rivers is due to automobilis transport and some mechanical buisnesesthatdischarging their wastes directly in these rivers. BTEX concentration in Karavasta Lagoon (14.5 ug/l) was 3.3 times higher than Patoku Lagoon (4.2 ug/l). This fact is because of Semani River impact in Karavasta Lagoon. Benzene concentrations in Semani River, Port of Durres and Porto-Romano were in higher level than allowed levels (10 ug/l) for surface waters based on Directive 2008/105/EC and Albanian norme . For the period, 2014-2016, were analyzed water samples from different ecosystems of Albania (sea, rivers and lagoons). Higher level of HCHs and DDTs were found for Semani River. Total of HCH was found in higher levels in water sea samples because of previous uses of Lindane for agro-agricultural purposes. New arrivals of pesticides from soil irrigation as a result of rainfalls could be main factor for their presence in rivers, sea and lagoons. All Albanian rivers rivershave in their water basinaerea many drainage channels from agricultural areas. Discharges of Porto-Romano plant directly to the sea for many years could affect in this rate. Lindane was found in lower concentrations compare with its isomers for all river samples. The use of DDT against malaria and typhus vectors is the main factor for DDT presence. Degradation products of DDT were found in higher level for all samples. PCB levels were found as follow: sea > rivers > lagoons. For all water samples it was noticed PCBs 28 and PCBs 52 in higher levels than other congeners. Atmospheric depositions could be the main factor of PCB pollution in water ecosystems. The presence of PCBs 180 and PCB 194 could be because ships transport or terrestrial arrivals of Albania. The found levels of organochlorinated pesticides and PCBs in water samples were lower than reported levels in previous studies. PAHs were found in higher level in Semani River, Port of Durres and Porto-Romano. BTEX were higher in Port of Durres. For all water samples the higher levels were for Benzene and Toluene. Presence of PAH and BTEX in water samples could be because of fuel emitting or discharging from ships, oil industry, spilling of wastes for some mechanical businesses and automobilistic transport. Murtaj B, Çomo E, Nuro A, Marku E, Emiri A. Evaluation of Organochlorinated Pesticides Residues and PCBs in Sediments of Karavasta Lagoon, Albania. J. Int. Environmental Application & Science. 2013; 8(4): 652-657. Como E, Nuro A, Murtajn B, Marku E, Emiri A. Study of Some Organic Pollutants in Water Samples of Shkumbini River Albania. J. Int. Environmental Application & Science. 2013; 8(4): 573-579. Directive 2008/105/Ec Of The European Parliament And Of The Council on environmental quality standards in the field of water policy, amending and subsequently repealing Council Directives 82/176/EEC, 83/513/EEC, 84/156/EEC, 84/491/EEC, 86/280/EEC and amending Directive 2000/60/ EC of the European Parliament and of the Council. Lang V. Review: Polychlorinated Biphenyls in the Environment. 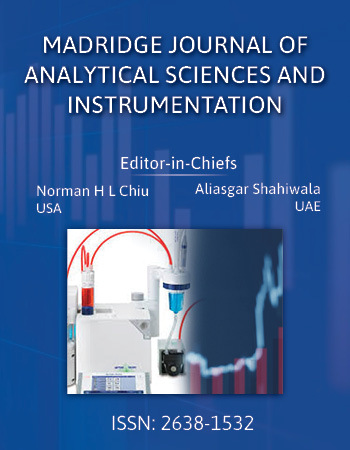 Journal of Chromatography. 1992; 595: 1-43. Marku E, Nuro A, Murtaj B. An analytical survey of PCB levels in sediment samples of Vlora Bay, Albania. Natura Montenegrina. 2011; 10(3): 275-281. Nuro A, Marku E, Murtaj B. Determination of PAH and BTEX levels in water sampling using GC/FID technique. Case study: Patoku Lagoon. International Journal of Ecosystems and Ecology Science. 2014; 4(2): 195-200. Nuro A, Marku E, Shehu M. Organochlorinated pesticide residues in marine water in the South of Albania. International Journal of Ecosystems and Ecology Sciences. 2012; 2(1): 27-34. Wells DE, Hess P. Determination and evaluation of chlorinated biphenyls. In: Barceló E (2007) Sample handling and trace analysis of pollutants, techniques, applications and quality assurance. Elsevier. 2000; 239-285.